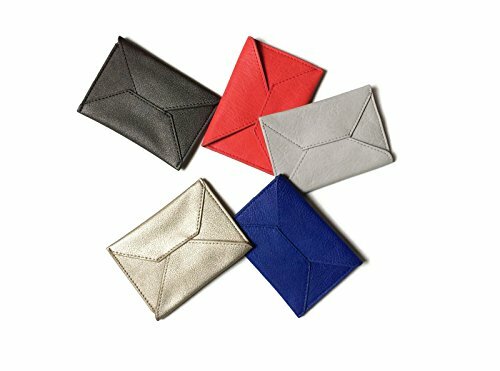 These adorable envelope wallets are made from vegan leather and come in five matte and metallic colors, including gold, graphite and coral. Holds up to 20 business cards or 10 credit cards. Protective with a foldover flap. Pros: Some card cases have an open design, which is not unsafe per se, but materials that stretch over time can sometimes make it so that your cards could eventually fall out. Because of the flap top, that won't happen with this card wallet. Cons: It's very minimal with one pouch for all your items. 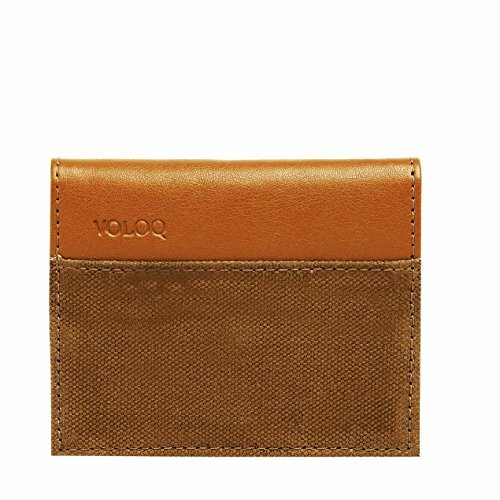 Though this ladies' vegan leather trifold wallet is small when closed, it opens up to reveal 10 card slots and a main cash compartment for absolutely all your money storage needs. Fastens securely with a metal snap. Includes a clear ID window. Pros: If what you need is a wallet that combines a card case's small size with a regular wallet's functionality, Matt & Nat designed this wallet for you. Cons: It's a "final sale" item, which means that it's nonreturnable. Some men's card cases have only two or three card slots, but this one has eight. Use one for bills and you've got yourself quite a practical wallet. Made of smooth tan vegan leather with a stylish cotton canvas overlay. Water-repellent and handmade with care. Pros: It's a slick, modern-looking wallet you can use anywhere, including for business. Stash business cards or credit cards in it. Cons: It's just a touch pricey, though far from exorbitant. 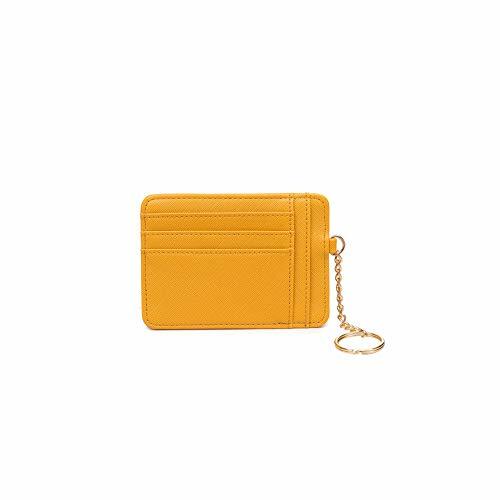 This sunny yellow card case for women will brighten up your day. Made of crosshatched vegan leather. 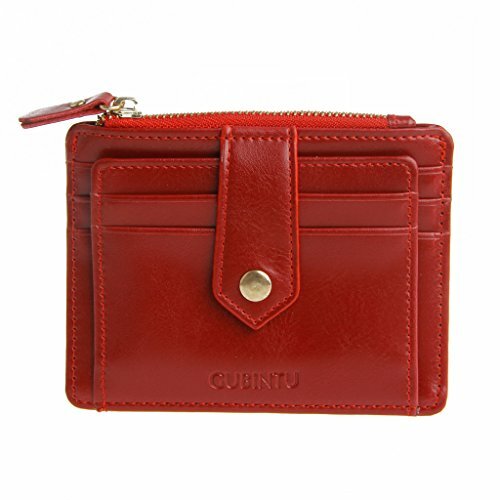 Designed with five outer card slots and a zip pocket for cash and coin change. Comes with a gold-toned keychain. Pros: It's helpful when you're errand-running or taking a trip across town on public transportation since you can get to your cards, ID and tickets in a flash. Cons: The card pockets on the outside may mean limited security. 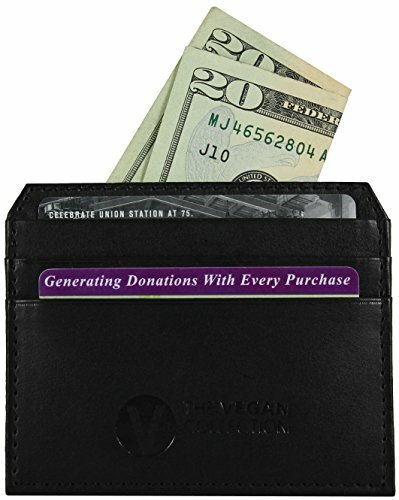 The magnetic strip in this black vegan leather card wallet will keep it from flipping open, preventing card spillage. Capable of holding up to 12 credit cards or 24 business or paper cards. Created with RFID-blocking technology to keep remote scanners out. Pros: Super low-cost and sensible, this wallet is especially useful as a business card organizer. It's safe and easy to use, and it looks professional for first impressions. Cons: It's a pretty simple wallet with two card pockets, which limits the ratio of cash to card capacity. Unlike other unadorned card cases like it, this olive faux leather card case has a clear ID window on one side so that you'll never forget which pocket you put your license in. Constructed with two outer pockets in addition to the ID slot. Small and easy to fit in your pants pocket. Pros: Not everyone needs a million card card slots. 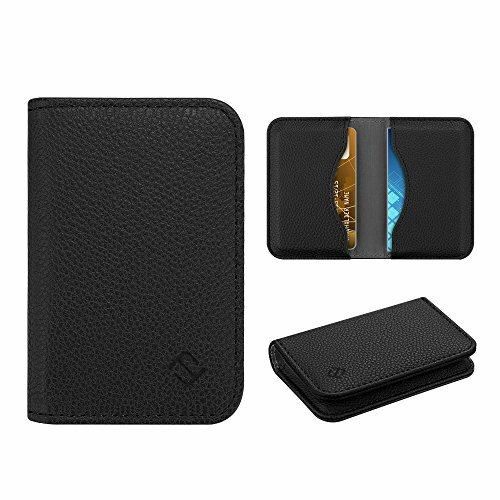 Whether you switch to this as your everyday wallet or use it as an auxiliary card and travel ticket holder, it'll fit perfectly in your pocket alongside your phone and keys. Cons: There really isn't room to take much more than a few cards and bills. This women's card case is uber chic. It's made with beautifully distressed brown faux leather and a stylish brass snap button to protect your money. Interior accordion pocket separates cards, bills and receipts. Easy to clean with a cloth. Advertised as vegan: No, but it's synthetic. Pros: It's small enough to transfer from purse to pocket, making it a fantastic wallet for light travel days. Use it for anything from business to grocery store trips. Cons: None to note. This is a great little inexpensive wallet. The Vegan Collection never skimps on quality or style. The Walker card wallet is made of soft black vegan micro leather and has separate compartments for cards and cash. Built with a cash slip pocket and six card slots. Thin and compact for easy carrying. Pros: We love the slip pocket on top. It's such a simple element, but it's the difference between efficiently storing your bills and trying to cram them into card slots. Cons: As with other card holders with the features on the outside, there's limited protection. Made of faux leather, this saturated blue card case has a flap top that rests snugly into a built-in cut-out catch on the front. Smart. Designed with a contrasting light blue interior. Small enough for your pocket. Advertised as vegan: No. But the material is synthetic. Pros: For less than ten bucks, you can have a mini wallet for the cards you use the most. Or use it for your customer loyalty punch cards. Cons: There's just the one main pocket. A fashionable wallet like this can add sophistication to your bag. Made of deep red faux leather. Comes with a zippered money pouch and eight card slots. Pros: We really like that it comes with a zippered pouch. Not enough card wallets take coin money into consideration. Cons: For the price, none that stick out.